Here’s a bit from a Camille Paglia interview (by Claire Lehmann, Quillette, 10NOV18) on how we got to this point in the culture wars. I don’t always agree with Paglia, but she is a reminder of a common political fallacy. Anyone who criticizes identity politics is assigned to the Right by default. This is a false binary. There are quite a few of us who critique identity politics not from the Right but from what seems to us true left, a more or less Marxist-based 1960s radicalism. From this vantage point, the identity politics Left seems just another version of the authoritarian Right, with its sharp lines between races and genders, its reliance on us vs them models, and its ideological concentration of power and policing of all dissent. “As I argued in …  Lacan, Derrida, and Foucault were already outmoded thinkers even in France, where their prominence had been relatively brief. There was nothing genuinely leftist in their elitist, monotonously language-based analysis. On the contrary, post-structuralism was abjectly reactionary, resisting and reversing the true revolution of the 1960s American counterculture, which liberated the senses and reconnected the body and personal identity to nature, in the Romantic manner . . .
“Post-structuralism, along with identity politics, made huge gains in the 1970s, as the old guard professors proved helpless against a rising tide of rapid add-on programs and departments like women’s studies and African-American studies. The tenured professoriate seemed not to realize that change of some kind was necessary, and thus they failed to provide an alternative vision of a remodeled university of the future. I myself was lobbying for interdisciplinary innovation in the humanities—something that remained highly controversial right through the 1980s . . .
“Helped along by a swelling horde of officious, overpaid administrators, North American universities became, decade by decade, political correctness camps. Out went half the classics, as well as pedagogically useful survey courses demonstrating sequential patterns in history (now dismissed as a “false narrative” by callow theorists). Bookish, introverted old-school professors were not prepared for guerrilla warfare to defend basic scholarly principles or to withstand waves of defamation and harassment . . . [They] never systematically engaged or critiqued … [That] was left instead to self-identified conservatives. The latter situation was clearly counterproductive, insofar as it enabled the bourgeois faux leftists of academe to define themselves and their reflex gobbledygook as boldly progressive . . .
Pinker’s big push for the Enlightenment values that got us where we are is the right message at the right time. Not perfect, mind you. Pinker’s cheerleading for capitalism goes a little overboard and understates the problems commensurate with it. His treatment of cultural movements that press against the Enlightenment, such as Romanticism, are at times astonishingly simplistic. Enough so to undermine his credibility in isolated passages. When he criticizes Thomas Piketty’s landmark Capital in the 21st Century, Pinker has a point in that Piketty’s emphasis on wealth inequality elides the improvements in material life that have carried all classes forward. But Piketty’s willingness to look at the good, the bad, and the ugly of late capitalism makes his work seem more impartial overall, less slanted than Pinker’s. The charts and counter-charts that make Piketty’s book more tedious and less readable than Pinker’s more informal tome also make Piketty’s analysis seem more balanced and complete. Overall, though, Pinker’s own core thesis is persuasive and exceedingly timely. After all, the Right has always had a deeper investment in religious and authoritarian structures that cut against the Enlightenment’s commitment to open inquiry and to a principle of individual freedom that transcends religion, region, or demographic. It is only recently that the postmodern Left has joined in the attack, often renouncing the Enlightenment standards of universal truth (accessible to reason and science) and condemning the Enlightenment-based liberal Western democracies as hopelessly enmired in racism, sexism, and other oppressive formations. In this regard, Pinker’s pushback against the Left as well as the Right is spot on. Despite the obvious bumps along the way, and bumps that are still with us, the Enlightenment, with its philosophical message of universal rights over tribalism and of the universal standards of reason and science, has resulted in the most humane, anti-sexist, and racially tolerant sensibility in social history. This is measurable in Pinker’s statistical graphs (and most visibly of late in the Washington Post’s worldwide survey-based map). That there were bumps and contradictions along the way, that challenges of social justice are still with us, is no reason to attack the foundation of the Enlightenment and of the Western liberal democracies that go along with it. Indeed, it would be preposterous to expect no bumps, no contradictions and challenges. We need to improve, perhaps even to do so at a revolutionary pace, but we need to start by working with what we have, not throwing it all overboard and creating a vacuum for some less Enlightenment-based power formation to move in. I had been pretty gloomy lately about politics. In previous decades, we could pull for one side, even when it was down and out, knowing that it favored full equality and judgments based on content of character, not skin color or other identity tags. Now, with Left and Right both obsessed (the Left overtly and the Right more covertly) with those very tags of skin color, gender, etc., as markers of innocence or guilt, of good or bad character, of who we should or should not listen to or vote for, there is no side to pull for. 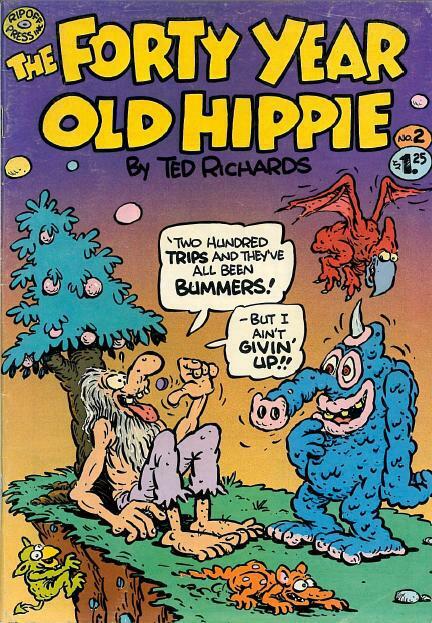 What’s an old hippie to do? Enter the recent Vox article on identity politics. The Vox article predictably gets it wrong by suggesting that both sides are running identity politics campaigns but that only one side is based on fear and aversion. In a rather obvious way (to those who are not politically predisposed to assume their own conclusion), both sides are motivating their voters with identity-based fear and aversion. As my friend Chris says, this doesn’t bode well for the Age of Aquarius. However, like the 40-year-old hippie, I ain’t giving up yet. I am not giving up because the forces that work against identity politics grow ever stronger underneath the political superstructure (cp. Areo, Pinker) — the ever-increasing historical move from tribalism to globalism/cosmopolitanism, with the law of reason (and post-moderns may disparage that law but it does them no more good than disparaging the laws of mathematics) perpetually supporting the idea that the accident of our tribal birth does not mean our tribe is better than all the other groups of our fellow humankind. When I talk to people — especially young people of various races, nationalities, etc. — I find that they talk the talk of identity politics (at least in Western liberal democracies) but they do not walk the walk. Once they quit spouting the politics they learned in college, they are actually quite averse to judging people based on identity tags and averse to deepening demographic do-not-cross lines in the cultural arena. Identity politics (largely thrust upon us in its present form by liberal academic departments in search of a rationale for perpetual funding) has infected their brains but not their hearts. This gives me hope. If we can find a leader or two to turn on the lights of the heart and imagination, we just might snuff out both the Left and the Right as obsolete. This may sound far-fetched, and maybe it is, but Democratic and Republican parties are both doing an excellent job of self-destruction. And therein lies hope.